For Prudential policy holder hospital admission, the phone number is 03 2711 9599 or 03 21797800 . The hospital will contact Prudential for your hospital admission. You didnt have to do anything. Prudential Customer Service number is 03 2116 0228, you may call this number for any inquiries about your policy. Policy status, payment status, claim status. change address, change payment method, surrender policy and etc. 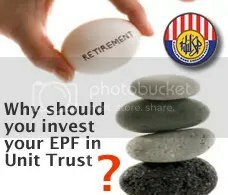 This entry was posted in Insurance / Takaful and tagged Prudential Malaysia Hospital Alliance Service. Bookmark the permalink. It is for hospital admission and also International SOS sir. Are you an agent? How about you call that number first and then you may comment here. 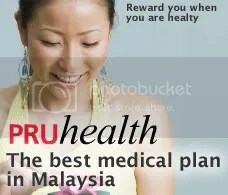 Prudential has the best medical card (PRUhealth and Takafulhealth) in the market no doubt about that. For Prudential policy holder hospital admission, the phone number is 03 2711 9599 . The hospital will contact Prudential for your hospital admission. You didnt have to do anything. MMM….i dont think so hospitals are doing the anything to help the patients. My case: I had severe pain in my right lower abdomen, and rushed to a nearby private hospital believing that I was having appendicitis. Doctor gave an injection and I was warded. previously my wife gave my prudential medic card at the counter for admission. I was warded and I was thinking the hospital covered all the details for me. Alas, I was wrong! I had a shock when prudential turn down my medical bills ( I was warded for 2 days!) by saying I should have gone for the outpatient treatment and according to IT outpatient is not covered by Prudential. I am wondering how could that be outpatient when I was warded. I am paying a lot for the card and yet this company couldn’t cover a bill less than RM2000 and yet I am covered for RM500 000. 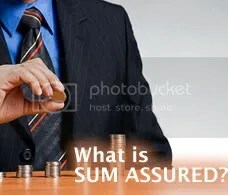 How can this company cover me for bigger sums? Only promises! So, guys as a general rule before going to private hospitals for treatment, get a referral from your personal doctors regarding your illnesses, whether he can treat it or not. If he can then it’s outpatient treatment.He could help you better! 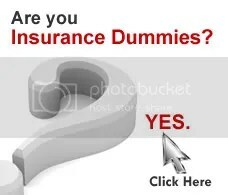 And beware of promises made by insurance companies. Shop around before you commit yourselves! which hospital you admitted in Mr. john? did prudential tell you specifically why they turn down ur claim Mr. John? there must be a reason….did ur agent do anything for you? Agree…with Azam…pruBSN medical card the competitive plan .. that reimburses major medical expenses incurred in the event of hospitalisation, surgery or outpatient treatment. 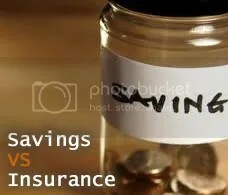 .. also rewards holders with No Claim Bonus for those who do not make any claims for the year…if not mistaken.